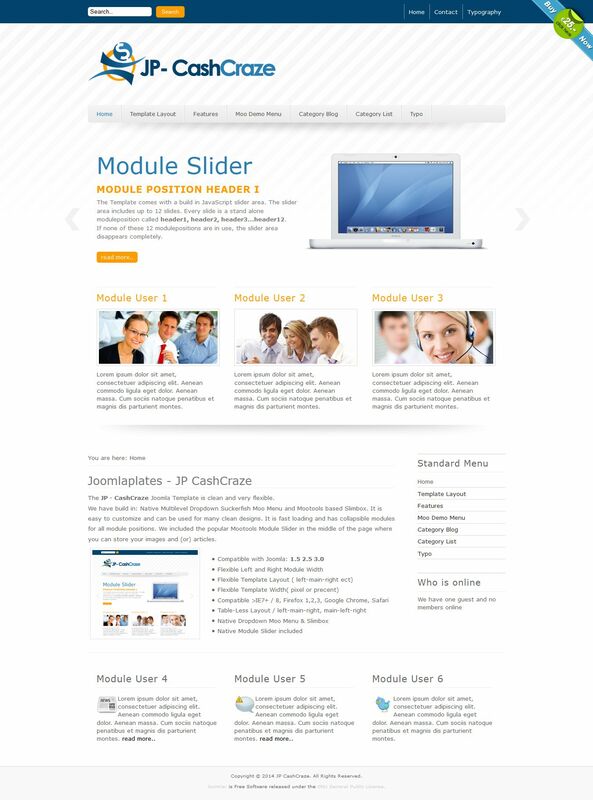 Team Joomlaplates offers a template made ​​in light colors. CashCraze JP , it is so named template having excellent navigation, unobtrusive design. In addition, it is designed for modern Web - standards. Easy to set up, so it fits perfectly in the corporate websites for multilevel projects. The developers have focused on visibility, published material, so the modules are designed to maximize display all that they uploaded. A template has a multi-level menu, which in combination with the wide range of instruments leaves a pleasant impression from its use. Articles and images on the site are displayed in a special way. Template works with all browsers and devices that support mobile version.